Second-year Megan Tang placed fifth out of eight competitors in a tournament that featured some of the top players in the nation. Chicago has gained national recognition the past four seasons. Just last year, the Maroons earned second place at the DIII National Championships and clinched the UAA Championship. And after losing five fourth-years and interim head coach Taka Bertrand, who accepted the head coaching position at DI St. John’s University, this season looked to be a rebuilding year. But second-year Megan Tang and head coach Jay Tee have shown early signs that the Maroons will continue to pose a national threat. 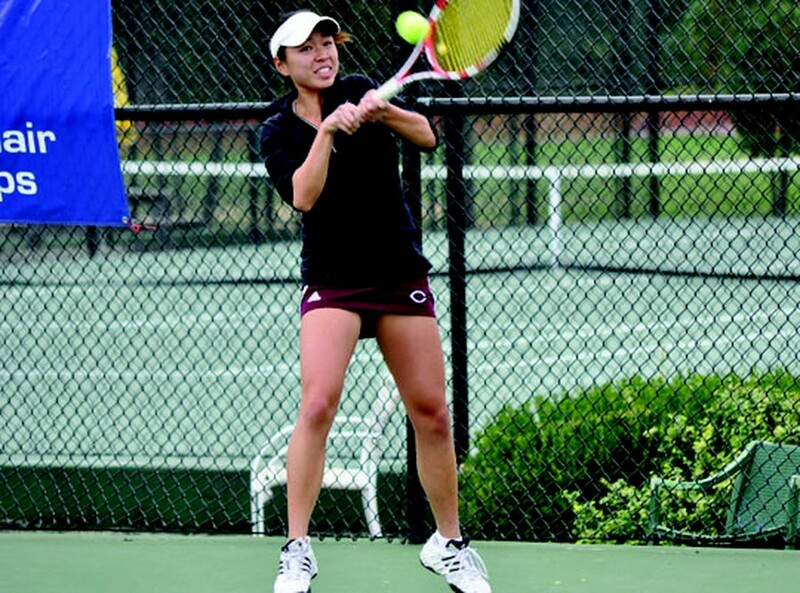 Tang, after qualifying for the ITA National Small College Championships by winning the regional tournament, placed fifth out of eight competitors in a tournament that featured some of the top players in the nation. She credits part of her recent success to Tee. But even Tee could not help Tang start the national tournament on a high as she lost 6–1, 6–0 to last year’s NCAA DIII Individual Champion and No. 1 seed of the ITA Small College Championships, Emory’s Gabrielle Clark. With low expectations set against Clark, Tang said she handled the loss well. Instead of being upset, Tang said she found the match to be a learning experience. While it will be a process for Tang to reach Clark’s caliber, just one day later, in Friday’s consolation semifinal match, she stifled Claremont-Mudd-Scripps’s Crystal Lim 6–0 in the opening set. “I simply played offensively and put pressure on Lim, which resulted in her making mistakes,” Tang said. The aggressive tactics put Tang up 4–1 in the second set. Soon after, however, the pressure was pushed back toward the Chicago second-year when she played defensively, hoping to capitalize on Lim’s errors. Five games later, and the set was tied at 5–5. At that point, Tang gained confidence and won the next two games to clinch a spot in Saturday morning’s fifth-place match. Tang continued her aggressive trend on Saturday, clinching fifth-place with a 6–1, 6–0 victory over Grinnell’s Laura Krull. The fifth-place finish will give Tang confidence looking ahead to the season. With continued efforts on the court, Tang can help ensure that Chicago will stay on the map as a national contender.